The old way of managing employee performance reviews, with once-per-year sit-downs with supervisors, no longer suits the way that modern employees want and need to be mentored and coached. Today’s employees are looking for ongoing feedback and the reassurance that their career paths are being regularly monitored. 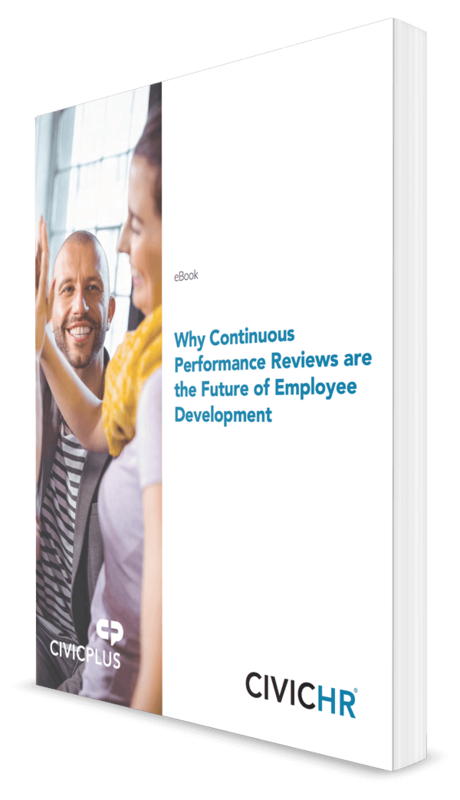 Help you understand why traditional performance reviews are no longer effective in cultivating satisfied, long-term employees, how a continuous performance review process will help you retain top talent, and provide tips for establishing a new system in your local government. Download our eBook to learn how to shift to a continuous performance managemenent process.